Kuala Lumpur, 19 Oct. 2010 – Companies should look at corporate responsibility as an opportunity rather than as a burden, said the Minister of Domestic Trade, Cooperatives and Consumerism, Datuk Seri Ismail Sabri bin Yaakob here today. The Government, he said, supported strongly the adoption of corporate social responsibility (CSR) reporting and standards by Malaysian companies, even if on a voluntary basis. 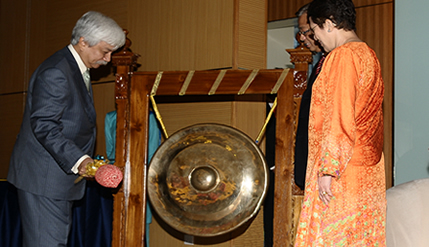 The two-day conference jointly organised by the Law Faculty of Universiti Kebangsaan Malaysia (UKM) and the Companies Comission of Malaysia (SSM) was officiated by the Yang Di-Pertuan Besar Negeri Sembilan, Tuanku Muhriz Ibni Al-Marhum Tuanku Munawir who is also the Chancellor of UKM. Noting that broader adoption of corporate governance (CG) and corporate responsibility (CR) programmes would be beneficial to companies as they would enhance their profitability and sustainability, the Government’s role would be facilitative in nature. Ismail Sabri said there were many reasons why companies should emphasize on CG and CR. Firstly, there tend to be a positive correlation between corporate responsibility and share prices. “The public, customers and consumers tend to measure a company’s performance within its economic, environmental and social context,” he said. Secondly, when a company has a strong brand value as a result of its CR programme, it stands above its competitors, especially now that investors and consumers have become ever more discerning. Having CG practices in place also gives foreign investors confidence that the company is operating in a responsible, ethical and transparent manner, he said. The minister also said that he is proud that Malaysia has been ranked 3rd, after South Korea and India, by CSR Asia (Corporate Social Responsibility in Asia) in its assessment of leading listed companies in 10 Asian countries. After Malaysia are Thailand, Singapore, Indonesia, Taiwan, Hong Kong, the Philippines and China. Malaysian companies scored particularly well in governance and social areas, he said, adding that while it is clear that Malaysia is moving in the right direction, the companies needed to continuously improve and strive for better results. Ismail Sabri also noted that under Bursa Malaysia Listing Requirements, listed companies must disclose their CG practices, while non-listed companies are not required to do so. 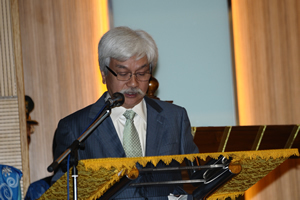 Tuanku Muhriz in his opening address said that society has, in recent years, deemed that corporate governance must go further than the basic objective of companies to maximize profits for its shareholders. “Corporations have a duty to conduct their affairs not only for the benefit of their shareholders, but also to stakeholders in a wider sense,” said his majesty. Noting that conducts of corporations impact on economic, political and social issues, he said CG coupled with CR is therefore ultimately for the well being of the general public in which the companies operate. 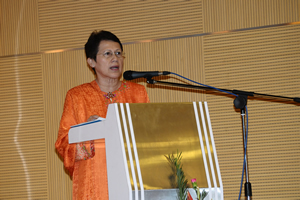 UKM Vice Chancellor Prof Tan Sri Dato’ Dr Sharifah Hapsah bt Syed Hasan Shahabudin in her welcoming address said the theme of the conference was special because it marked the culmination of the Law Faculty’s mainstream research on CG and CR. CG and CR is also the subject of a research collaboration between UKM and SSM where they would conduct a national survey on the level of compliance of CR among the Small and Medium Enterprises (SMEs). 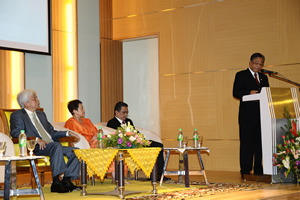 The Malaysian Government, she said, had shown its seriousness in strengthening CG by amending the Companies Act 1965 to underpin the eight crucial principles of good governance; transparency, rule of law, participation, responsiveness, equity, efficiency and effectiveness, sustainability and accountability. 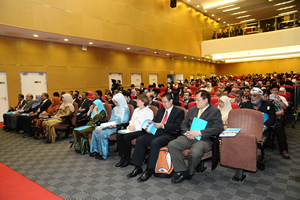 Prof Sharifah Hapsah said she was happy that the organisers had incorporated CR in the theme of the conference as it signals the demands made on companies to consider the interests of their various ‘stakeholders’ who include employees, consumers, suppliers and the community at large, when undertaking their operations. “This is not surprising because more often than not society would certainly be affected, whether intended or unintended, by whatever decisions that are made by the companies. Corporate social responsibility is for the public good as distinct from the profit motive,” she added. 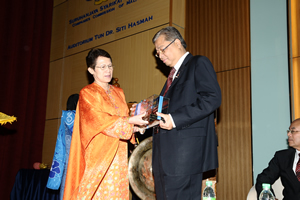 The vice chancellor also said UKM is proud that its Law Faculty has risen to the challenge by designing research projects relating to CG and CSR, covering a wide range of topics like CG, accountability, effective enforcement, level of compliance of CSR among SMEs and others. “The Faculty has contributed in no small measure to our vision of becoming one of the leading research universities in the world,” she said.